Synopsis: “In Asia’s safest city, the police have long been untouchable. Approaching midnight in Hong Kong, police headquarters receives an anonymous call: a fully-loaded police van carrying the force’s, most advance equipment and five highly trained officers has disappeared off the grid. The hijackers possess direct knowledge of police procedures. They’re already steps ahead. The police must meet a list of demands to ensure the hostage’s release, including the delivery of a large ransom. Any delay will cost lives. The clock has begun to tick…” (Rainfilm Sdn Bhd). very beginning of the film hence the lack of character development, and the suspense is kept throughout until the end. 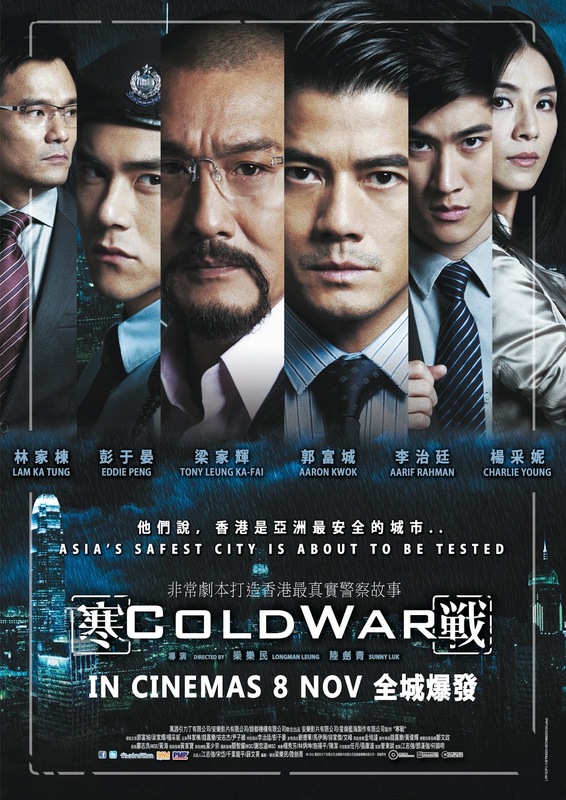 Fantastic performance by veteran actors, Aaron Kwok and Tony Leung, but bad choice casting the other younger ones like Ariff Rahman Lee and Eddie Peng that just didn’t play out their roles convincingly enough. Second opinion: “It keeps me guessing the whole time” (Iris Loong). “YES!” From composed manner into an argument in which they emotionally scream at each other’s face with overlapping lines for a minute or so. When Caucasians pull off a scene like this, it’s common but when Chinese actors do it, it’s impressive (’cause it’s rare, perhaps). Unanswered questions: How did Lau manage to climb all the way up from being an admin in the police force to being the next Secretary for Security? What did Lau do that impressed the current Secretary for Security so much that he’s now a highly trusted person? How did Lee’s son, who’s also a police, grow up to become so treacherous that he would kill his own father? Lee asks his son, “How many (are involved in this crime)?” but not a number is revealed. So how many more moles are there left within the police force and is the person who threatens Lau’s family at the end an officer as well? Really nice movie? I have given up hope on Hong Kong movies for a long time! LoL at your FIRST commentor!! Bought my tickets! Can't wait to watch!